Thanks to our successful bid for funding from Aberdeen Greenspace, GFAA has recently been able to add a new lawn mower and a generator to our stock of power tools and equipment available for community use. 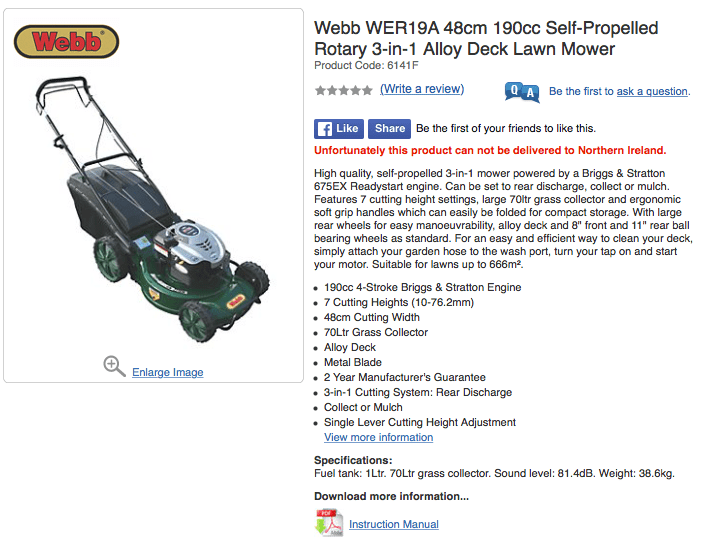 The lawnmower is a Webb 48cm self-propelled rotary model and will be suitable for a wide range of uses including maintaining verges and smaller areas of grass around our site. It is described as a high quality, self-propelled 3-in-1 mower powered by a Briggs & Stratton 675EX Readystart engine. Can be set to rear discharge, collect or mulch. Features 7 cutting height settings, large 70ltr grass collector and ergonomic soft grip handles which can easily be folded for compact storage. With large rear wheels for easy manoeuvrability, alloy deck and 8″ front and 11″ rear ball bearing wheels as standard. 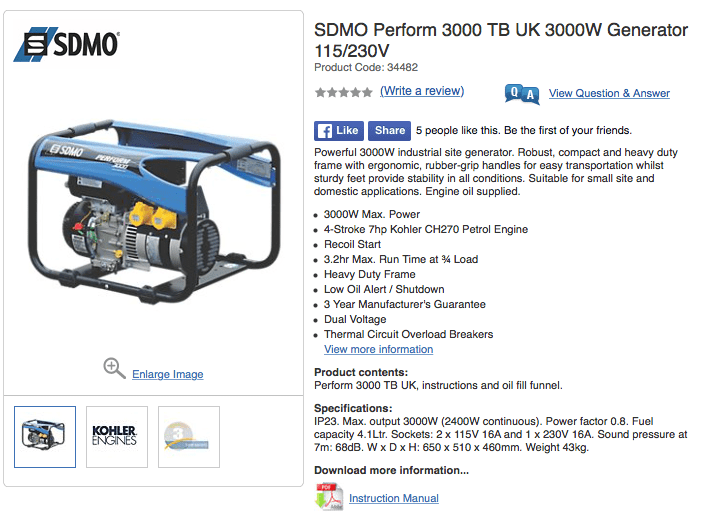 The Generator is a SDMO Perform 3000 TB UK 3000W model and will be useful to GFAA members who need to run power tools on site from time to time. It is described as a powerful 3000W industrial site generator. Robust, compact and heavy-duty frame with ergonomic, rubber-grip handles for easy transportation whilst sturdy feet provide stability in all conditions. Suitable for small site and domestic applications. Arrangements for safe storage and commissioning are underway and will be completed in time for the new season. If you are interested in borrowing either item, please contact Vinny Goss in the first instance. Vinny helped specify and procure the items and has kindly agreed to offer initial training in their use. Please arrange all borrowings and use with Vinny in advance.